If you search for help downloading all of your Flickr photos, along with the metadata, you will, no doubt, get trapped in a jungle of old advice about how you must do this page by page from your “camera roll.” Or use arcane scripts that probably use an out of date Flickr API. 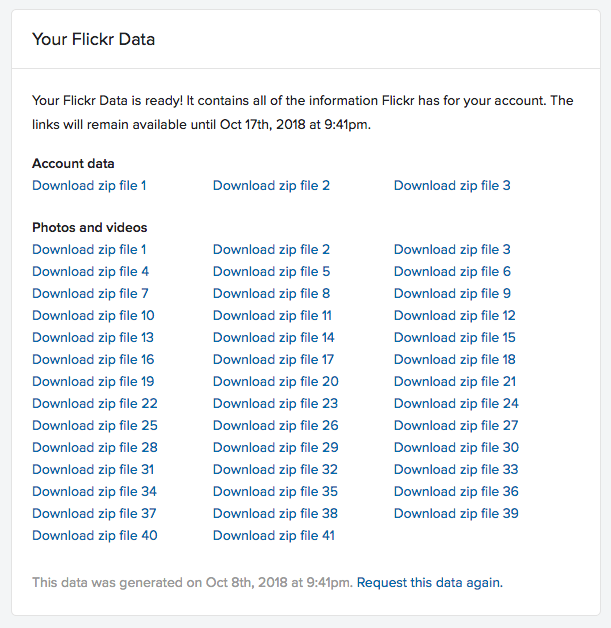 Written October 9, 2018 at 10:18 a.m.
Is this the result of Flickr having implemented the portability requirements of the EU GDPR? What determines the division into zip files (data, or x pics per zip, y MB per zip)? There doesn’t seem to be any rhyme nor reason to the ZIP file structure, at least none that I can determine yet. The photos ZIP file range in size from 71MB to 1.64GB. I followed the same procedure and came up with about 100 GB of images (~ 40.000) separated from their EXIF meta data. 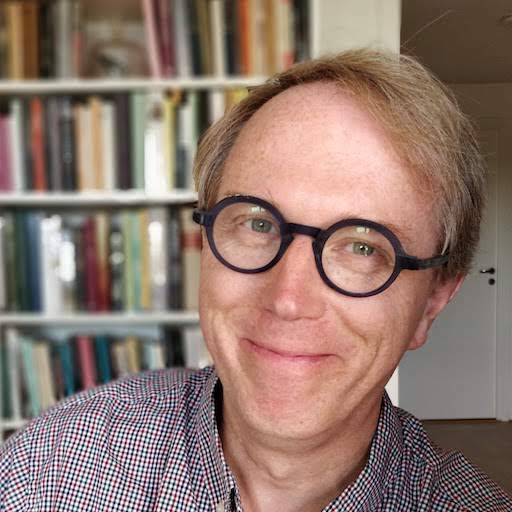 Does someone know how to merge images with meta data? Some kind of „touch“ script would be great! Comments, titles are not relevant for me. But all the other camera related information are. I'm just about to go through the same process. I've been using 'exiftool' on Apple Macosx to extract the Exif data from a photo. I'll then write something to 'touch' the files with the correct date. 'Better finder rename' has a feature where it can copy files and use the exif-creation-date for the filename, somwthing like this should exist on Windows. Please comment back if you do this! I just finished downloading almost 60 zip files via curl, not too excited about having to match the json exif timestamp to the pictures. I know I'll put it off, and end up never doing it. Is it possible to do this for someone else's photos? I only need the date - have some photos of myself and others from friends, family that I would like to keep but having to manually change the date for every one is a pain.